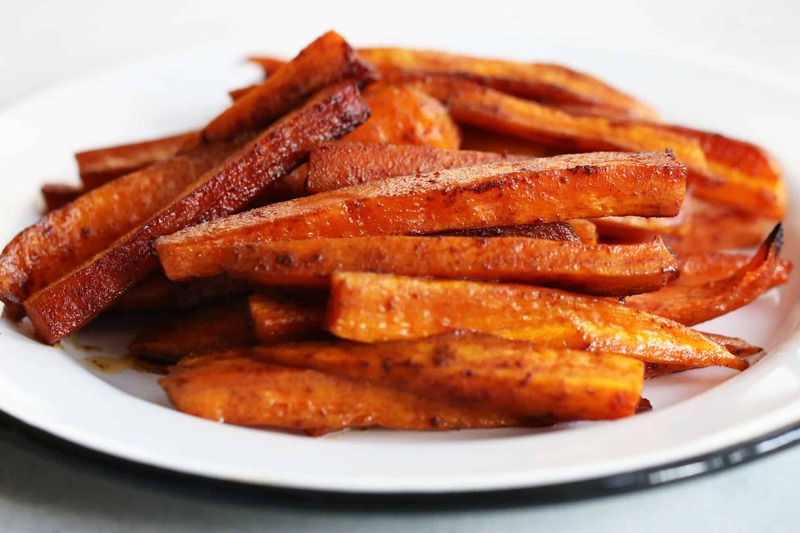 You’ll love these Cinnamon Carrot Fries for a fun side for your weeknight meal or after school snack! They’re perfect for fall, paleo, and gluten free! Here’s the thing. When you call things cookies or in any way associate them as a dessert, it’s like some magical thing happens where they’ll at least trrryyy it. The sweet outside lures them to put it into their mouth and they (maybe) actually enjoy it. These are super simple, fun for fall, and an easy side if you’re kicking yourself trying to get some sort of veggie on the table that your kids may possibly enjoy. And if not, YOU will love them! 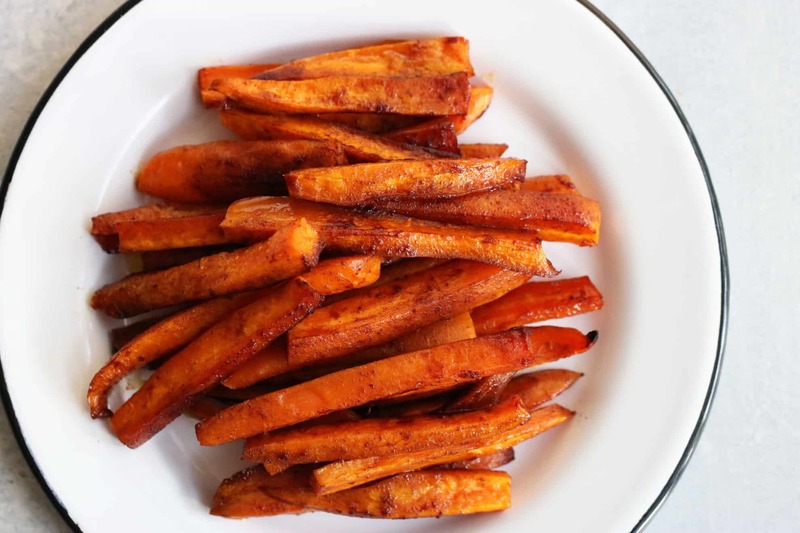 So here’s how you make some cinnamon carrot fries. They’re super simple. I had LARGE carrots, but you may want to double the carrot count if yours are smaller. Peel the outer layer, cut off the ends, and cut them into fry shapes. I found it easiest to cut them in half cross-wise and lengthwise, and then continue to cut them in half lengthwise until they’re a good fry size. 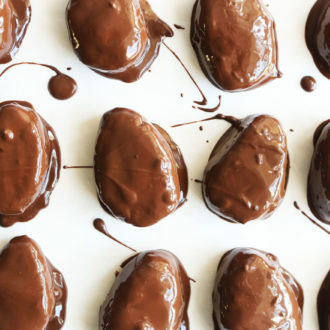 Toss them in a bowl with the ghee, coconut sugar, cinnamon, and sea salt until they’re well coated. Place on baking sheet lined with parchment paper. Bake for 20 – 30 minutes until they’re easily pierced with a fork. Omg I just accidentally typed “dork” and it completely reminded me of that word. Let’s bring it back. DORK. Cut the carrots in half both crosswise and lengthwise. Continue to cut the carrots lengthwise until they’re a good fry size. Bake for 20 – 30 minutes until they’re easily pierced with a fork.